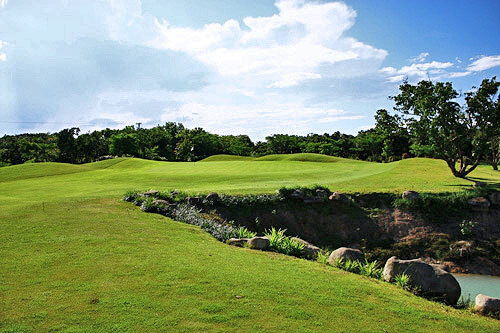 Maejo Golf Resort was designed by the popular Thai golf course architect Mr. Seni Thirawat, it is renowned for its subtly sloping greens. 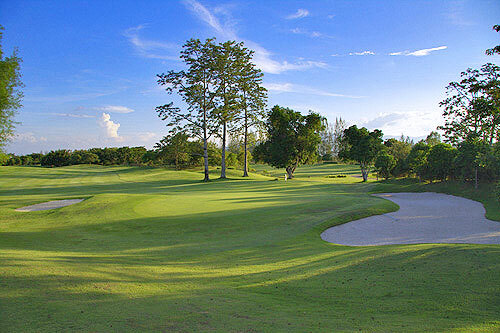 The par 72 course, at 6,730 yards, is shorter than many in northern Thailand but that does not mean it’s short on surprises or challenges. 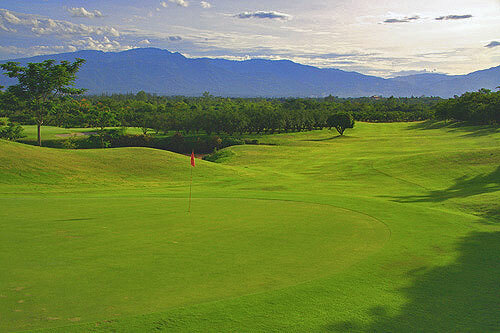 For a start, the fairways are narrow and several of the holes have doglegs. Water plays a significant role, too. Playing here can also be very refreshing. The course is surrounded by fruit trees, so depending on the season golfers can help themselves to longans, lychees, pomelos and tangerines. The caddies are a mine of information on what tastes good and when. Golfers may need those extra vitamins when they reach the 5th hole par 4, which doglegs left then right around a lake, with trees on either side of the fairway. 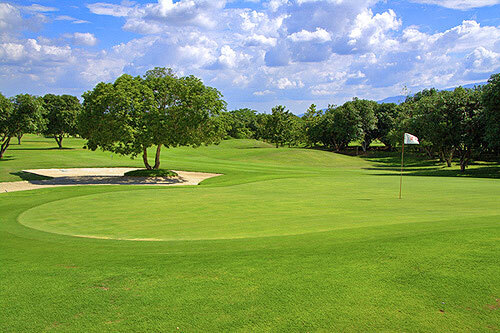 The bold golfer will shortcut through the bends by shooting over the lake to the green, but needs to beware the bunker between the lake and the green. The 9th hole par 4 doglegs to the right but offers a fair chance of a birdie to those willing to take the risk of landing in water that runs along most of the right side of fairway. The green is guarded by bunkers front left and front right. The signature hole on this course has to be the 14th par 3. It’s not long; but the tee shot, over a large expanse of wasteland, is daunting. Basically, the only “fairway” encircles the green, which is also protected by a large bunker front right. 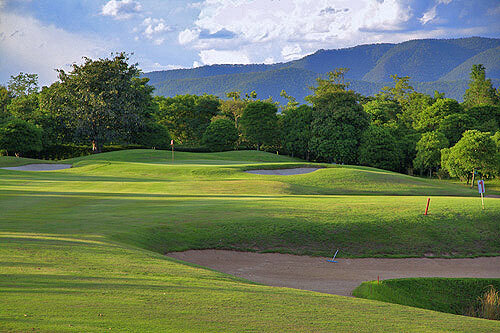 This has to be one of the most fun par 3s in northern Thailand. The Lanna-design resort is perfect for the whole family, with spacious suites, a pool, a spa and activities such as tennis, cycling and kayaking. 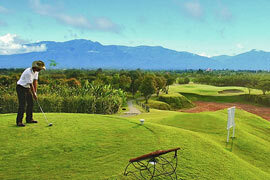 Use of golf cart on Mae Jo Golf Club and Resort is compulsory. Maximum 1 golfer per cart is permitted. The golf cart rental is 750 Baht/cart/person. Rates above are NOT inclusive of caddy tip. 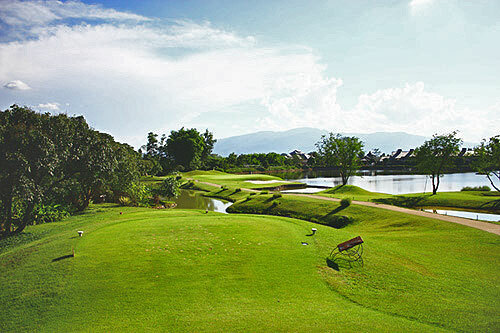 Mae Jo Golf Club and Resort has recommended to tip their caddy from 300 Baht. You can give it directly to your caddy after the game.